The Williams pear (Pyrus communis) is the most commonly grown variety of pear in most countries outside Asia. The fruit is the upper end of the flower stalk and is typically Williams pear shaped, narrow at the top (stem) and wider at the bottom. The Williams pear (Pyrus communis) is the most commonly grown variety of pear in most countries outside Asia. The fruit is the upper end of the flower stalk and is typically Williams pear shaped, narrow at the top (stem) and wider at the bottom. Its green skin turns yellow upon later ripening, although red-skinned derivative varieties exist. Here are the 7 health benefits of Williams pears. 1. Williams pears can help individuals fight infections. Williams pears are a good source of vitamin C. Vitamin C is a powerful natural water-soluble antioxidant that helps the body develop resistance against infectious agents and eliminates cancer-causing free radicals in the body. 2. Williams pears can help slow down aging. Adequate vitamin C can also create and maintain collagen, an essential protein found in hair and skin. 3. Williams pears are a rich source of antioxidants. Williams pears contain many antioxidants like vitamin C and chlorogenic acid. Antioxidants seek and neutralize typical cell-harming free radicals that can destroy cells or turn them into cancer cells. 4. Williams pears will improve digestive health. Williams pears are a good source of fiber. Dietary fiber can help prevent constipation, making one’s bowel movement easier to manage. Fiber can also scrape cholesterol out of the arteries and blood vessels. One Williams pear contains 5 grams of dietary fiber. The daily recommended dietary fiber intake for men and women are 38 grams and 25 grams, respectively. 5. Williams pears can help maintain a healthy blood pressure. Williams pears have a great potassium to sodium ratio. 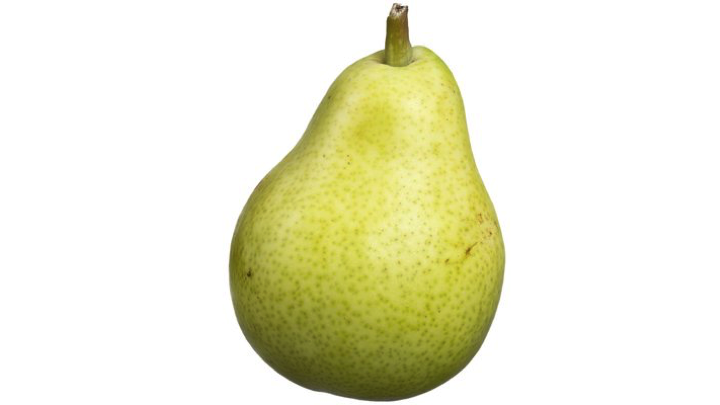 One Williams pear contains 176 milligrams of potassium, compared to 1.5 milligrams of sodium. This helps the blood vessels relax and maintains proper blood pressure. 6. Williams pears can help improve the heart’s health. The recommended 4,700 mg of potassium is not obtained by many individuals in the United States, according to the National Health and Nutrition Examination Survey, despite the benefits of increased potassium intake. One study suggested that individuals who consumed 4,069 mg of potassium per day had a 49 percent lower risk of death from ischemic heart disease compared with those who consumed less than 1,000 mg per day. 7. Williams pears may not increase blood sugar levels quickly. Foods high in sugar and low in fiber will break down easily and cause blood sugar and insulin level spikes after meals, which is followed by rapidly dropping blood sugar levels. Williams pears are slowly absorbed into the bloodstream, which prevents sugar crashes, sugar cravings, and mood swings. Galvis Sánchez, A. C., Gil‐Izquierdo, A., & Gil, M. I. (2003). Comparative study of six pear cultivars in terms of their phenolic and vitamin C contents and antioxidant capacity. Journal of the Science of Food and Agriculture, 83(10), 995-1003. Vaxman, F., Olender, S., Lambert, A., Nisand, G., Aprahamian, M., Bruch, J. F., ... & Grenier, J. F. (1995). Effect of pantothenic acid and ascorbic acid supplementation on human skin wound healing process. European surgical research, 27(3), 158-166.